The Cheshire League hosted its Annual General Meeting at Altrincham Football Club this evening and it was confirmed that West’s Reserve side will continue in Cheshire League One for the season ahead. Last season they were promoted to League One as part of the division’s expansion to 16 teams on their way to securing a 6th place finish. 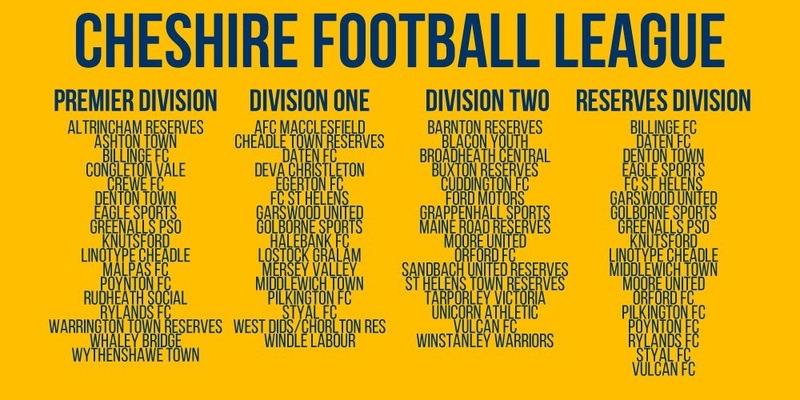 They will be joined by Garswood United and Styal who have been relegated from the Premier Division. In addition they will be joined by Windle Labour and Deva Christleton who were promoted from League Two last season. Here is the constitution for 2017/18 in full.